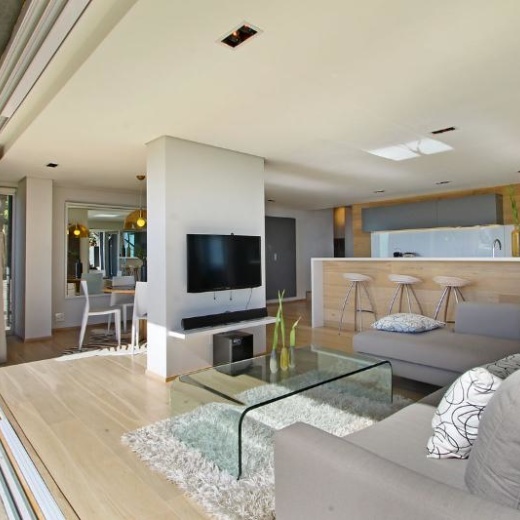 Located in Upper Camps Bay with views of Camps Bay Beach Lions Head and the 12 Apostles. The villa offers 2 units one being the garden villa/apartment and the other a double story penthouse villa. 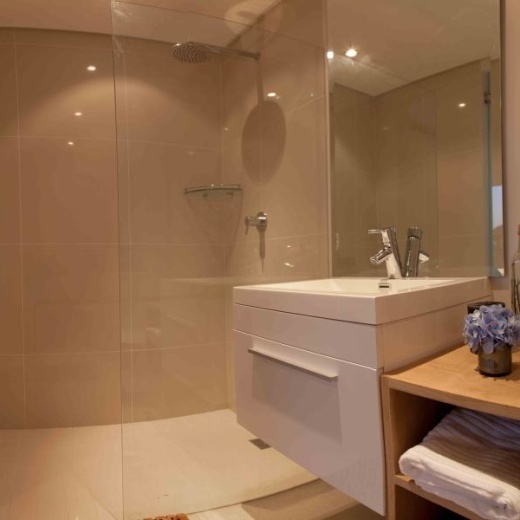 The property was redesigned and renovated in January 2013 to the highest standard. Both units are completely private and separate. Camps bay beach is only 3 minutes away by car and 12 minutes to the centre of Cape town. The villa is only 100 m away from the entrance of the nature reserve with the most beautiful scenery and walks. The Luxury Penthouse is an open plan loft style villa is for the discerning client. It is fully equipped with 2 lounges, huge chefs kitchen with Meile appliances, bar and dinning area and 3 bedroom and 3 en-suite bathrooms Total area is 400 sqm. The outdoor spaces are spectacular and offer a rim-flow glass pool with 2 entertainment decks, gas braai and with modern outside seating. All furnishing are new and of the highest quality. While the Luxury garden villa/apartment also is fully equipped with 3 spacious en-suite bedrooms all with large sliding doors that open out onto the garden or patio. The open plan lounge dining area and fully fitted kitchen open out onto the huge undercover patio and garden. The sparkling swimming pool and patio look out onto spectacular uninterrupted views of Camps Bay beach Lions head and Table mountain. There are pool lounges, patio furniture and a braai area for summertime barbeques.